EDC Creations is proud to announce the books that created an impact, for readers and the EDC Creations network. Our literary hallmarks indicate excellence in writing. These are the books we want to share with the world. Each year thousands of people — educators, concerned parents, community leaders, authors, poets and publishers — devote their time and resources to presenting the reader with great books! However, too many outstanding books do not get the attention and reader support that they deserve, they float just under the radar. It is our mission to connect readers with these hidden gems and bring them books that will change their lives. We have previewed all of the books below and these are just a few of the magnificent books we love. Other lists will be posted bi-monthly of our fantastic literary finds. Readers please take a moment and examine the list below. There is something for all book lovers! The books are NOT listed in any order pertaining to the quality of the literature—they are all 4-5 star reads. Each book on this list will bring something of value to enrich the lives of the readers and to help to strengthen our future generations. If you are a fan of Erotica or Urban Literature, there is a book for you. If you are more in tune with books of a Spiritual or Motivational nature, there is a book for you. Like to live life on the edge and walk on the dark, mysterious side—we have a selection for you too. Enjoy! 1001 Black Inventions Supplement by Pin Points, Inc. Please join us in celebrating the best in literature by leaving comments or congrats below. EDC Creations wants to create commercials and audio promotions for your book. I will use the podcasts to send out to my people. Just sending a eblast is not what makes my click-through rate so high. When you follow the link and instructions below, you can create one type of recording or you can create all three. I use them on my radio show as fillers. They will also become part of my new all author’s site. Do not state a DATE or EVENT during the recordings. It will date the recording and I won’t be able to use it as long. My name is _____and I’m the author of ______. You can find these answers inside my book, ______. Meet (name your two main characters) as they ________ (fill in the blank with something fun that they are doing). For the most ____(add an adjective) conversation on the planet, tune into the Black Authors Network Radio Show! The recordings will be commercials too! Follow the instructions to the letter! I will delete all multiple recordings for the same book. If you mess up do not just hang up! Read all the instructions before you begin. Practice what you will say before you start recording. Have fun! Full instruction listed at the link below. Do not slam the phone down in the cradle when you finish recording. It will be heard. Take your finger and press the button, on the phone, to disconnect the finished call. purchase your book, book details, and what the book is about. This will be a commercial. end of this recording to make the audience want to read your book. Join the Conversation, leave questions or comments below. Each day active bloggers are selected to win free books and prizes, so leave your email address with each post. Thank you! As America tries to recover from the economic meltdown of the past several months, its important that this country begin looking for solutions that will keep this from happening in the future. As our country prepares itself for the new administration the question we must now ask ourselves is “Can the new administration repair the damage that’s already been done? Is it possible to fix this mess within the next four years? Eight years? These are some very tough questions with no easy answers. Without question there is no shortage of opinions on this matter. The political pundits, financial community, business community and even the religious community have expressed strong opinions on what it’s going to take to move us through this recession and restore our country’s economic health. As I’ve listened to the “experts” I have yet to hear anyone give any concrete long term sustainable solutions that will not have a negative impact on our economy and our way of life. The new buzzword is BAILOUT and I personally do not believe that this is a long term solution. I am of the opinion that bailing out companies is only a quick fix to a companies problems. It does not create a long term strategy that will keep companies from falling into the same repetitive cycle of bad management and greed. With that thought in mind, I would like to interject that I believe the only way to create a long term strategy to repair our economy is to create a new conversation with men. In this new conversation, men would recognize that there is no excuse for a CEO to receive multimillion dollar pay packages when a company is on the verge of bankruptcy. This is plain and simple greed which should be unacceptable. Men would learn that excessive spending is never good for the bottom line and therefore they would learn to cut back on some of their lavish spending before they would begin laying off the ordinary workers who are really the backbone of any company. Men would also learn that their self worth should never be wrapped up in their titles and incomes. With this new understanding, we would not have investors killing themselves and taking their families lives simply because of falling stock prices or diminishing portfolios. This new conversation would challenge men to become social entrepreneurs who would take their love of business and create companies that want to eradicate a specific social issue. Their company then becomes and extension of their passion and creativity and is less likely to fall victim to greed. Can you see the benefits of this new conversation? Obviously there are no easy solutions to fix our great country but I believe this is a great start. 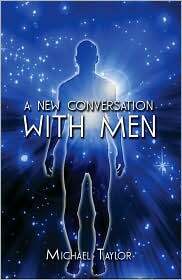 It all begins with a new conversation with men. Are you willing to engage in this dialog? He is an entrepreneur, radio show host and personal coach from Houston, Texas. COMING in 2009 The second edition of CULTURESEEK! It is packed with over 1,200 black history facts, famous quotes, photos, and all new word search puzzles. More information coming soon. Get ready to place your order. Share the history! Visit http://www.latonyabranham.com/ for more information. Join entrepreneur, author, motivational speaker, and radio-show host Michael Taylor as he shares how creating a new paradigm of masculinity can help heal America. This book is written to inspire men of all ethnicities, ages, socio-economic levels, and religions to come together to redefine manhood and to eradicate the multiplicity of challenges facing America today. Its intention is to remove the separation among men and remove the hatred, fear, and distrust that too many men feel about each other. It is a powerful, inspirational document written to educate, motivate, and inspire all men to reach their full potential. Join the conversation, and become a part of the revolution! Purchase the book here. Please take part in the discussion by leaving comments or congrats below. Michael Taylor makes no bones about the intent of his book “A New Conversation with Men.” It is nothing less than to create a new paradigm of masculinity in this country. He says so in the very first paragraph of Chapter One. By that, he means that some of the old ways of being a man in society no longer work. “What is needed,” he says, “are some new ways of being a man that empowers men to become better husbands, fathers, lovers, and friends.” This is a tall order, but the prospects of being a better husband, father, lover, and friend got my attention and I couldn’t wait to get started. Taylor admits he is not an educated man, at least in terms of college degrees and advanced education; but his book runs on high octane motivation, and he is eminently qualified to dispense this motivation with common sense and real life examples. He is an entrepreneur, author, motivational speaker, and radio host, among other things. There is a tipping point in any book where the author gets his hook into you and you are either with him the rest of the way, or you are not. This occurred fairly early when Taylor described what he called the five illusions of manhood i.e. : a man must: be non-emotional and disconnected; have status, position and power; have money and material possessions; use sexual conquest as a gauge for manhood; and must win at all costs and compete against other men. These illusions, he explained, contribute significantly to the social issues that currently plague our society – issues like; divorce, poverty, domestic violence, drug addiction, and fatherlessness. It was at this point that I realized that Taylor was on to something and I had better pay attention to what he was saying. There are two phrases that occurred repeatedly throughout the book: “simple but not easy,” and “are you ready for a new conversation with men?” After reading the latter phrase numerous times, I began to get the uncomfortable feeling that the book would end with a call to action; urging the reader to join a specific organization, or perhaps to purchase a series of seminars or books. To Taylor’s credit, this did not happen. Instead, he eloquently summarized the need for a new paradigm of manhood throughout the world and issued a challenge for readers to join the revolution and spread the word, whenever and wherever they can. It makes a lot of sense. Whenever I finish reviewing a book, I usually put it on a special shelf on my bookcase, where it sits indefinitely without being touched; a sort of book reviewer’s game trophy. Not so with “A New Conversation with Men” by Michael Taylor. As I am writing this, the book is sitting on my desk within arm’s reach, and there it will sit for the foreseeable future. I intend to read it again, slowly, and then a few times more. Who knows, I might be the next person to join the revolution. It certainly can’t hurt. It will make me a better man, and perhaps make the world a better place in which to live. Attention all men: read this book before it is too late! Wahida Clark is also available for interview by phone and in person in the following cities: Baltimore (MD), Richmond (VA), Norfolk (VA), Raleigh (NC), Fayetteville (NC), Columbia (SC), Charleston (SC), Columbus (GA), Macon (GA), Savannah (GA), Atlanta (GA), Jacksonville, Orlando, Tampa, Miami, Fort Lauderdale (FL), Newark (NJ), Manhattan, Brooklyn, Queens (NY) Philadelphia (PA). Wahida Clark was born and raised in Trenton, New Jersey. She is no stranger to the hard work and sacrifices that breed success. This Trenton native once owned and operated L.M. Clark Printers & Publishers Inc., a printing and publishing company located in Trenton. She decided to write fiction while incarcerated at a women’s federal prison camp in Lexington, Kentucky. She is crowned the Queen of Thug Love Fiction by Nikki Turner, the Queen of Hip Hop Fiction. Wahida’s style of writing is the “TEMPLATE” for urban literature. When you read her novels, they are so real you are convinced of one of three things: you know the characters; you want to know the characters; or you are one of the characters. Her Essence and Black Issues Book Reviews bestselling novels include Thugs and The Women Who Love Them, Every Thug Needs A Lady, Payback Is A Mutha, Payback With Ya Life, and her latest anthology with Kiki Swinson titled Sleeping With The Enemy. After serving a nine year prison sentence, Wahida was released on June 13, 2007, from the federal prison camp in Alderson, West Virginia. She has just completed Part 4 of her Thug Series, the highly anticipated Thug Lovin’. She is vice president of the nonprofit organization based out of East Orange, New Jersey, Prodigal Sons and Daughters Redirection Services, a re-entry program for convicts and ex-convicts. The organization also provides support groups and mentors for at-risk youth. Today, Wahida runs her printing & publishing company out of East Orange, New Jersey, Wahida Clark Presents Publishing, LLC. Her first releases include: Trust No Man by Cash, Thirsty by Mike Sanders, and Cheetah by Missy Jackson. A Division of Hachette Book Group USA, Inc.